Drawing from SCORE’s large, diverse population of clients, this data report is the first in a series providing a snapshot of the current American small business landscape. While SCORE has collected this data annually for eight years, this is the first year that selected statistics will be shared with the general public. This data report unveils statistically significant survey findings drawn from 18,000 respondents, enhancing existing available data on American small business ownership. The report goes beyond the small business data reported in the U.S. Census to provide new details on pre-start businesses, entrepreneurial sentiment and, most significantly, the impact of non-employer firms, start-ups and microbusinesses on job creation. In presenting this new information, this report fills a gap in the existing research and helps cultivate a more accurate understanding of the true state of today’s Main Street, USA. 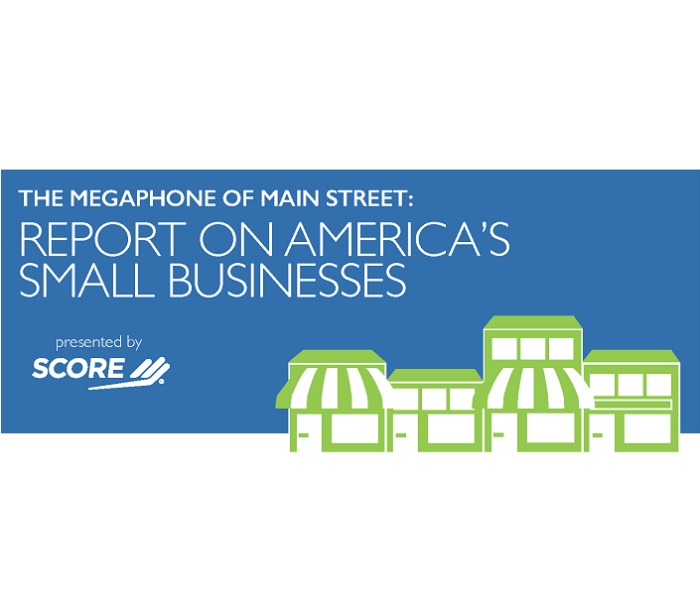 The data contained in this report also lays a foundation for future Megaphone of Main Street reports, which will delve deeper into specialized small business subtopics such as start-ups and small business financing. Small businesses drive the American economy, both in their local communities and nationwide. In fact, one in two workers in the private workforce run or work for a small business, and one in four individuals in the total U.S. population are part of the small business community.1 For this reason, the results of this data report are meaningful not only to the American small business community, but also to the nation as a whole. Answers collected from 18,000+ SCORE clients from all 50 U.S. states, plus Washington, D.C., representing various sized small businesses in a broad coverage of industries. At all stages of the business life cycle, entrepreneurs were most concerned with marketing and sales, including finding new customers (27.3 % of pre-starts, 48.1% of start-ups and 49.6% of existing businesses). Other business owners and peers were the primary source of information and advice for small business owners in all stages of the business life cycle, with 40.3% of pre-starts, 50.6% of start-ups, and 58.4% of existing businesses, reporting that they rely most on these sources. With start-ups, this reliance on peer information was nearly double the rate of the second most popular source of information (Internet search). With existing businesses, this was more than double (2.8 times) the rate of Internet search. 76% (some 14,200 respondents to this study) were non-employer firms or at early stages of start-up, and therefore are not all counted in traditional employment statistics. 46% of start-ups reported hiring one or more part-time employees and independent contractors, for an average of 3.2 jobs. Only 14% of start-ups obtained financing. Within that 14% that successfully obtained funding, 81% of businesses secured loans and 27% financed via equity raised from investors. Start-up growth projections were polarized: 40% of start-ups did not expect growth in the next year, while 35% expected increases in revenue of 50% or more. When including part-time employees and independent contractors in calculations, microbusinesses (0-4 employees) contributed the most jobs and hired more new workers in FY 2016, in comparison to small businesses with more than five employees. 65% of microbusinesses reported that they thought their companies would be struggling or stagnating in the next year, while 54% of other businesses (>4 employees) anticipated growth in the upcoming year. Only 15% of existing businesses obtained financing. Within that 15% that obtained financing, more than 80% of the financing came from SBA loans and other loans.